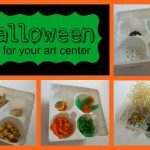 All you need is an few cereal boxes, a marker, some yarn and clothes pins. Easy! As you can see, drawing spiders is one of my strengths. Don’t worry if yours aren’t as perfect or accurate as mine… hee hee. I made sure there was one letter for each word on Little M’s list. Cereal boxes work great because they are sturdy, but paper would work just as well. I only clipped the letters for 3 words at a time so that it wouldn’t be an overwhelming search. That seemed to be the perfect amount. After I said the word out loud Little M searched for the letters and pulled down the spider. She placed the words in order and then spelled them out for me. She knows these words pretty well already. If the words were harder, or unfamiliar to her, I would have showed her the word and the had her find the letters. 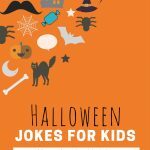 You might also want to check out the printable Halloween jokes for kids that I’m using as lunch box jokes this year. 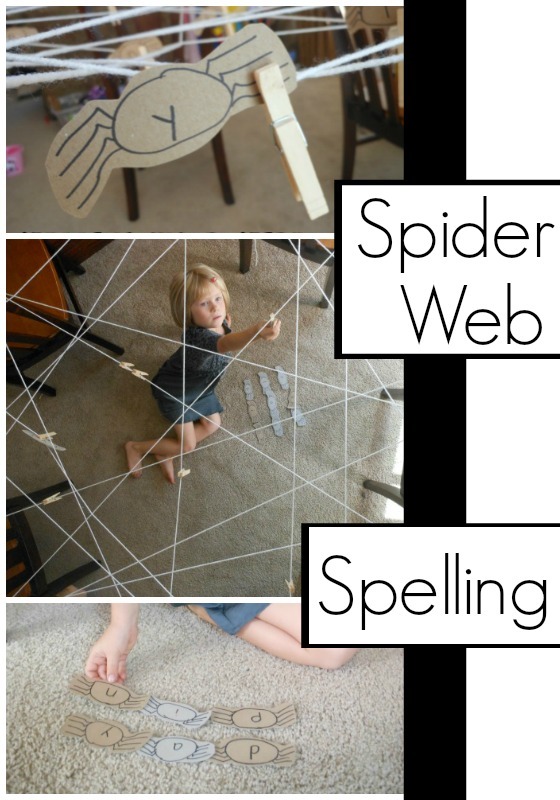 What type of spelling word activities do your kids like the best?